I started using the supplement, Glucomannan, after learning about its benefits from a naturopath dietitian. 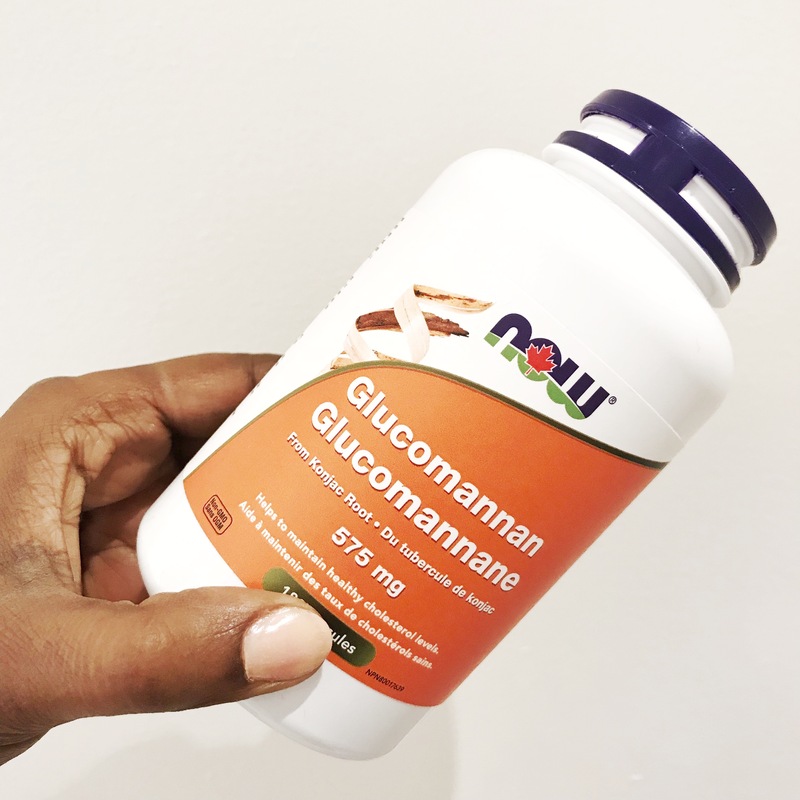 I was advised to try Glucomannan after a fight with high blood sugar levels causing type 2 Diabetes. Along with diet and exercise, I was instructed to use this supplement as it would help with appetite and cravings. Truthfully, there are so many different, contradicting opinions and articles on Glucomannan. Some articles say it is being marketed as a “diet” fixer that can cause issues, but this blog is about MY EXPERIENCE with the supplement as I was advised by a health professional. I ask you to do the same. Sit down and chat with your doctor before using and don’t just take my word for it. Scientific studies show Glucomannan can significantly lower plasma cholesterol, improve carbohydrate metabolism, encourage bowel movements and promote a healthy colon. I’ve noticed this in months that I’ve been taking the supplement. Glucomannan can be taken as a powder in a smoothie or as a tablet. It is made up of Konjac root which promotes weight loss with a healthy lifestyle. Anything that curbs my cravings for tons of salt and sugar is a good thing. Glucomannan is also a prebiotic that feeds friendly bacteria in the intestine. Because Glucomannan creates probiotics, benefits include lower risk of cardiovascular disease, healthier cholesterol levels, better gut health, improved digestion, hormonal balance, better immune function and lower inflammation. Again, I am not a healthcare professional, but I wanted to share the benefits of the product since I’m using it and it’s making a huge improvement in my wellness!